Business description from prospectus - Shree Ganesh Remedies is an ISO 9001:2015, ISO 14001:2015 BS and OHSAS 18001:2007 certified Company and is engaged in manufacturing and dispatch of drug intermediates and chemicals like amine hydrochloride and specialty fine chemicals for pharmaceutical industry. The company manufactures products relating to antipsychotic, antiseptic, deprotonation reactions, hyperlipidemia, alzheimers and anti-viral. The manufacturing process is supported by Total Quality Management techniques and is supervised through various quality control equipment’s and qualified personnel. The Products are manufactured for export market and also for domestic and foreign markets. It entered the International market in the year 2006 and is on regular basis exporting products to various countries. 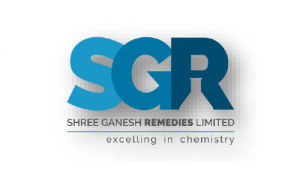 Shree Ganesh Remedies IPO allotment status is now available on Bigshare Services' website. Click on this link to get allotment status.